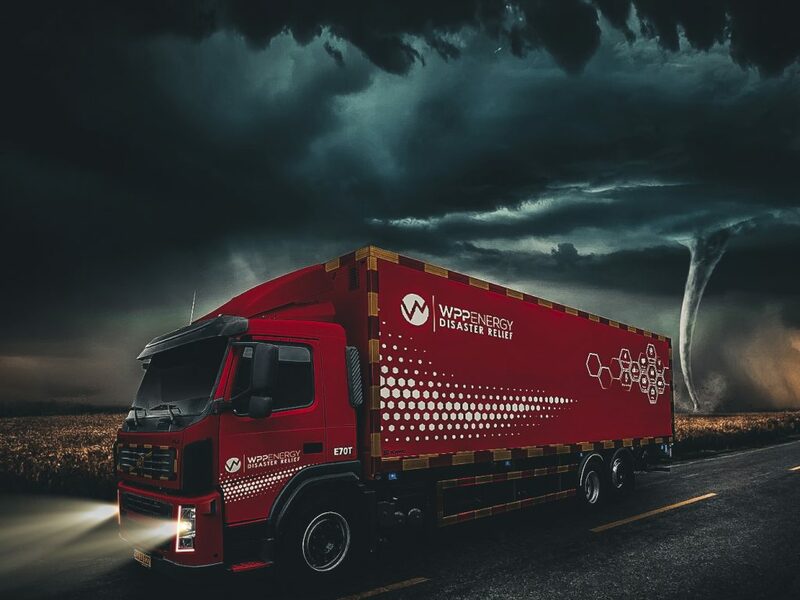 WPP Energy offers highly innovative and disruptive technology to address the multi-trillion-dollar global industry of THE CONVERSION OF WASTES through a Revolutionary Patented Mobile Waste CONVERSION Plant which provides an environmentally friendly and technologically advanced solution for the conversion of Municipal Solid Waste (MSW), Biomass, Plastics, and Medical Waste into biofuels at zero pollution. This end result leaves almost nothing to dump at landfills, saving billions of dollars and saving the planet simultaneously. The Mobile Waste Plant reduces the waste that is normally headed for landfills by up to 97% by converting all types of waste into green fuels, biodiesel, hydrogen gas, the entire process runs at zero pollution. This will save governments the cost and long list of problems that come from creating and maintaining landfills over 20 year or more period and that cost billions of dollars over that period. The Mobile Waste Plant almost entirely eliminates landfills and harmful pollution from methane and carbon emissions that landfills bring. The Mobile Waste Plant is capable of collecting, processing and converting 36 to 70 Tons of MSW per 24 hour day, PER TRUCK, with Zero Pollution. MSW is domestic solid waste including plastics, household waste, grass and garden, Biomass, animal fat, used cooking oil, plastics, and pruning’s. The truck can also gasify medical waste. WPP’s solution eliminates the problematic use of landfills and related dumping with innovative advanced technology that presents at first blush as a garbage truck but a deeper look reveals that it is a first of its kind in the world mobile waste gasification plant that collects 36 tons per day of various type of waste, municipal solid waste, plastics, biomass, garden waste, medical waste, food waste, animal fat and converts the waste into biofuels channeled into a compressed tank at 300 bars which is mounted on the truck resulting in zero pollution, eliminating the use of landfills. At the end of the day the truck then transports the biofuel to the main storage facility to be sold to the local market and/or reused as a fuel source. WPP’s (“Mobile Waste Plant”), looks like the “traditional garbage truck” that collects the waste and disposes it in the landfill, the major difference between the traditional garbage truck to the WPP Truck is the ability to both collect the waste and at the same time process and convert all the waste into biofuels without any need for a landfill. All trucks are under the DCC control center where communications can occur with all operating trucks from the entire region, and 24/7 for emergency requests for removal of falling trees, or construction debris, or natural disasters of any kind, while collecting any type of waste and gasifying into green fuels that can be used for local communities when there is a fuel/energy shortage. The truck thus not only can assist in the clean up in a natural disaster but I can also provide an energy source from the biofuel it produces. All Components and Equipment are connected to a central computer with the unit to control and monitor activity. In addition to GSM / GPRS, the drivers know their location and administrative activity. The Operator will receive adequate training to control all activity relates to the operation of the unit. The Mobile Waste Plant promotes safety for the operator and for the general population. The Application Software also has the incumbency of an external application to send all information to be remotely managed from the control data base system recording each unit at certain territory for the overall waste collection and biofuel generation from the entire operation of all unit deployed. THE WPP MOBILE WASTE PLANT IS PATENTED AND ALREADY IN OPERATION WITH ALL LICENSES, PERMITS & CERTIFIED SAFETY CODES. Mobile Waste Plant Model W36T Collects and Process 36 tons of waste per day.